Experience the magic of Rome with 15 carefully curated itineraries, written by an expert travel writer, that showcase the city's best sights. 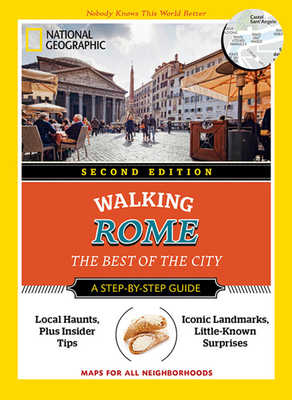 Fun features include in-depth looks at major icons, "best of" lists of quintessential things to see and do, and insider information full of local knowledge. A "travel essentials" section has planning tips and hand-picked hotels. Travelers will find top-notch, streamlined, and useful information that goes beyond the Internet basics to ensure a rewarding, authentic, and memorable urban experience. KATIE PARLA is a Rome-based cultural historian, culinary expert, and journalist. She is the author of the food and travel blog ParlaFood.com and she reports on food, drinks, and culture for print and online publications. She leads culinary and cultural tours of Rome and regularly appears as an expert on the History Channel and the Travel Channel.